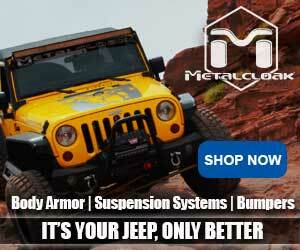 Tom Severin from Badlands Offroad Adventures gives us some valuable “safeguarding” tips when Jeeping, camping or overlanding. Just waiting for his chance. Very tasty. His patience paid off. 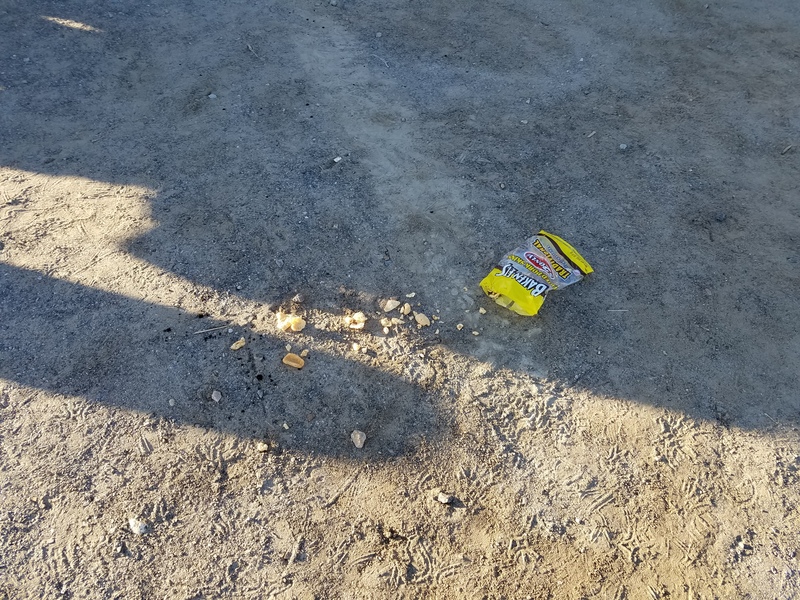 Pork rind left out over night. 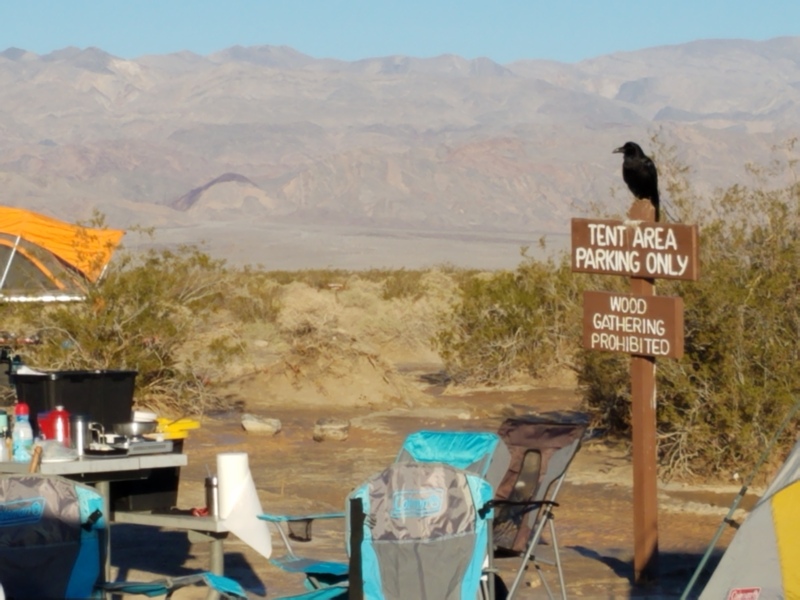 Don’t want wild animals around your campsite? Then, don’t feed them. While you can’t do anything about other campers, you can control your behavior. Wild animals are supposed to act wild; that is, wary of humans and preferring to stay away. Increasingly today, those animals are interacting with humans. That’s not a good thing. Tom, great article! People like to say they love the outdoors, but they are the outdoors worst enemy. In my area of New Mexico, the coyotes have lost their fear of the humans who have moved into the desert environs. 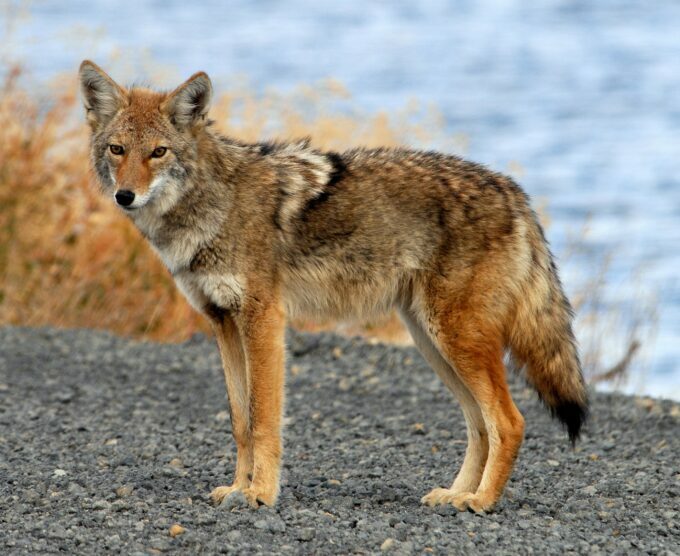 It is quite common for somebody to report their dog or cat was taken by a coyote –even though the pet was inside a fenced yard! My neighbor has seen coyotes climb ten foot fences when trying to go somewhere. Now many of the coyotes are being hunted so they are less of a danger to people.